1. Heat 1 cup of water in a pan over medium flame. 2. Add half of the ginger, coriander leaves and 1 green chilli. 3. Bring to a boil and reduce flame to low. 4. Add the fish fillets to a colander and place it over the hot water. 5. Steam cook the fish fillets for 10 minutes till flaky. 6. Remove and keep aside. 7. Meanwhile, add the bread slice, breadcrumbs, egg, remaining ginger, garlic, green chilli, mint leaves, turmeric powder, red chilli powder, saunf powder, black pepper powder, salt and some water to a blender. 8. Blend well for 2 to 3 minutes until smooth, adding more water if required. 9. Add the steamed fish and blend well until smooth. 10. Remove and transfer to a bowl. 11. Add the mashed potato and mix well. 12. 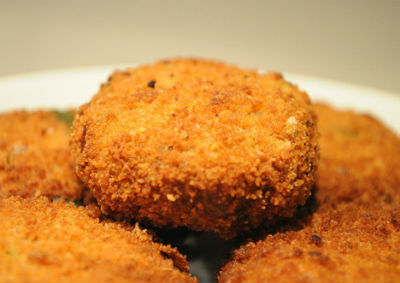 Shape the mixture into cutlets of desired shapes and keep them in the fridge for 10 to 20 minutes. 13. Heat oil in a frying pan. 14. 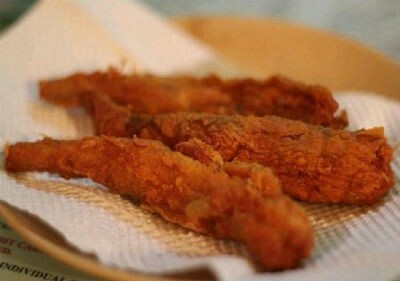 Deep fry till crisp and golden brown. 15. Remove and drain excess oil. 16. Serve with chutney or sauce of choice. 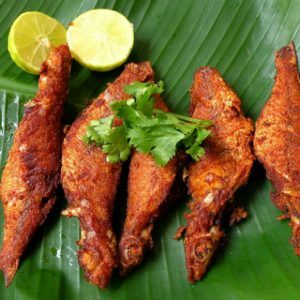 Feel free to comment or share your thoughts on this Fish Cutlet Recipe from Awesome Cuisine.